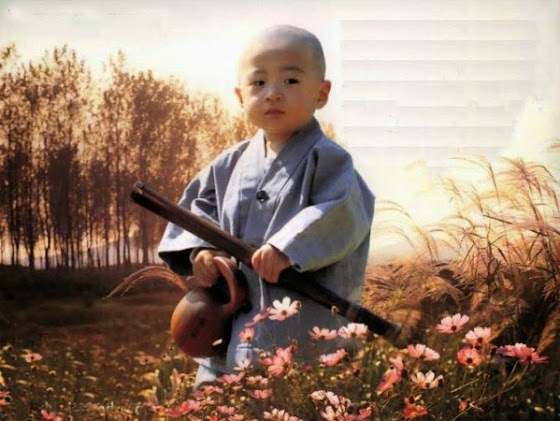 Shoshin (初心) is the concept of the beginner's mind. Derived from Zen Buddhism, it is the quintessential mindset for learning. It is openness, eagerness, and the lack of preconceptions, no matter the level of study. The mind is a wonderful servant, but a terrible master. Left to its own devices, it gets distracted and cluttered. To discard the clutter, one must surrender their ego and their self-identity. To become less than special, formless. Surrendering of oneself does not mean the loss of autonomy, it means being challenged to grow — growing through humility, learning through service, becoming a student and figuratively (sometimes literally) bowing to another. To keep the clutter (心猿 "monkey mind") at bay, one must replace it with shoshin, the devoted student. Removing the clutter can bring focus, yet the beginner's mind maintains it. Becoming a student is a skill in the same way resilience is a skill. For leadership to be democratic, we must voluntarily allow another to lead. This ability to pull back is quiet strength. Pushing ahead to be heard when one's knowledge is lacking, is the false facade of insecurity. To give up one's control is frightening, but at the same time liberating — this is the duality of learning. Nearly everyone is a master to a child. The "monkey" has yet to hijack their minds with clutter and arrogance. One can compare the monkey mind to the behavior of a child, restless and confused. Yet, how is the behavior of a model student also like the child? A child is raw and formless; it can be many things, used in many different contexts. It is the classical analogy, much like water is the perfect metaphor. However, whatever the child is, is yet to be deeply rooted. In the West, one would say they have no "baggage." A child does not have the luxury of a textured past to get in the way of their learning. They are children: they play, learn, move, and think. There are fewer obstacles to discipline for a child. They want to hear, the adult wants to speak. The adult may have made up their mind prior to study — leading to the same ends over and over. Discipline requires humility. Change happens through adaption from imposed demands. Do not cherry-pick the learning process, yield to it. In the example of diet, the classical response is, "I already know what to do, I just need to do it" — this is the rejection of learning and the embracing of anti-knowledge. Through the service economy, there are no more students, just customers. Never giving up control, the priority on being right, rather than making beneficial changes. Then the "customer" must continuously look for a service provider who can do it the way they want, yet still create different results than what they have gotten. This behavior is not exclusive to diet/ exercise; it is an observation of a greater system of thinking (or the avoidance of thinking). But many refined diners have learned, sometimes their experience is best when it is omakase (お任せ) or chef's choice. One can learn martial arts from a book, but the effectiveness of the book won't nearly be that of a good teacher. One's ego will sabotage their: happiness, their personal life, their educational life, their financial life, their professional life, their spiritual life, and the legacy they leave behind. It's not rational, it doesn't care about the best outcome or the most return on time and energy. Ego and mastery exist on opposite ends of the same continuum. The more one leans towards ego, the further one is from mastery. There are those who believe the closest relationship and bond outside of family is that of friendship, and consider the relationship between student and teacher to be something very distant — transactional. The mark of the teacher-student (yin-yang) link is one of mutual respect, rather than blind loyalty. Unlike the relationships we are accustomed to, this is not a relationship of companionship, but a relationship built on influence. We go to the weddings of our friends, but when recognized for our achievements, it is most often that we thank our teachers above even our friends. We curate our friends, we decide who we allow in; our teachers curate us, help mold us into the people we become. Teacher: the archaic term used in ancient texts would be that of master — the one who aids in mastery. How many relationships exist on a hollow level? The bond with a teacher cannot exist on this level, there must be a greater benefit since it is not a requirement for existence. Teachers tell us the things we do not want to hear. When we write a story or draw a picture and give it to a friend, asking what they think, we are unconsciously asking for approval and compliment. When we give this same work to a teacher, they will tell us how to improve it. Initially, this can create an adversarial relationship if we do not put into context what we are trying to get out of this exchange. Teachers are not our enablers or accomplices, they promise us objectivity (a valuable tool for improvement). They are not our therapist, quite the opposite; they talk, we listen. They aren't afraid of losing our friendship because they are not our friends — it's a collaboration. The teacher's ability to shape and influence is what makes them so invaluable. An authentic teacher (beyond just the scope of a classroom setting) will not try to teach arbitrarily, we must solicit them for their knowledge. When looking within ourselves, how frequently do we try to teach others or offer advice without permission? Attempting to influence others when they do not wish to be controlled is not just a struggle, it is also a violation. Asking for help, the consent, makes all the difference — but once you ask, give in and listen. We need teachers but if we believe they owe us something, why would they help us? They too are autonomous sentient beings with lives of their own. They do not need us, yet we often need them. When one calls strangers in positions of power and ask for favors, few will say yes. When you build a relationship first, show them you value their time, that you merely want to learn and are seeking their expertise; more will say yes than you think. Trying to extract what you want without consideration for the other is the very nature of using someone. It is sheer arrogance and a bridge will be burned for a lifetime. A famous Hollywood star once explained to a room full of aspiring drama students, his role as a supporting actor: make the best possible movie. He cannot allow his ego to interfere, he must pull back and allow the lead actor to shine. If he outshines the star, he may steal the scene, but the movie itself will suffer for it. When it is his turn to lead, he knows to step forward — as he has spent his time supporting from behind. This skill has served his career well. To achieve mastery without a guide is futility. You will learn to do it the wrong way perfectly. All graduate students have an adviser, all martial artists have a sensei (sifu, kru, sabunim, etc. ), and even masters have masters. Elite CEO's surround themselves with masterminds; it can be an organization or a board. Don't look to see who can help you, look to see who you can help. Have more people owe you favors than you owe them. There will come times when that leverage is necessary. I was having lunch with the head writer of a popular network TV show. Since he works with a crop of established writers who have made it to the pinnacle of their profession, I was curious if he could groom them to be better writers. He said, "Some of them, but most of them already think they know everything, or they give me something they wrote and tell me to make it better. Instead of listening, they're already defending themselves and trying to convince me that I'm the one who needs to change, that the show needs to change. That's not the position we're in, and they've grossly misread the situation. So we have to fire them; there's nothing they can do for us, and nothing I can do for them. Their ego goes against their best interest. Maybe they don't want to work?" The question many professional sports coaches ask themselves and their coaching staff is, "Is this individual coachable?" And if the answer is no, no matter how talented they are, they have no future with the team. A player's time with the franchise will be temporary, but the legacy they leave behind can last generations. Coaches must be careful whether the legacy is one of achievement or infamy. Teachers surround us, but we can never see them until we develop the mind of the beginner. If our noses are in the air, we will never see the teachers who pass below our noses. It's hard to see the value of those who are already close, humbleness brings awareness. Teachers come in all forms, from prestigious positions to seemingly ordinary professions. They can never impact us for the better until we embrace their knowledge and experience. Guides give us the directions to the places we want to go, but if we never stop talking, how will we get anywhere? All of us come from different socio-economic backgrounds, we come from different ethnicities and races. Opportunities will vary, that is the stark reality of living. Then it is in our best interest to open our eyes to all the opportunities that are already available and to open our ears to all the possibilities that surround us. It is not about how smart we are, but how we are smart. There will always be people smarter than you in certain aspects. Find them and ask them for help in your development. Embody collective wisdom. When the right student meets the right teacher, amazing things happen. A genuine teacher will not hold you back or be jealous of your success, your success becomes the impact they've left behind, you become part of their legacy. They want you to succeed; in helping you they've done something significant and meaningful. I have been invited to lunch on numerous occasions by people asking to "pick my brain." In each situation, my time was spent listening to the supposed mentee brag about themselves and their accomplishments and what they are already doing, their best practices. They only pause for me to stop and nod or to tell them, "Nice job." When the lunch is over, they feel good about it, feeling like I've validated everything they've already been doing when I was merely being polite. There was never any interest in my opinion. I am sure they will remember it differently, as we all do when we do this ourselves. All we must do is recount transcript in our heads and see what new information we were given, what new information we left with? And you may find all you left with is confirmation bias. We think we want advice, we may only be seeking a pat on the shoulder. I no longer accept meals where the only offer is to have my brain picked. Which when I type it out, having my actual brain "picked," sounds pretty awful. We hear the word "mindset" being thrown around, I believe what they're getting at is the beginner's mind. The mind to start the day accepting it as a new challenge with many lessons. The keys to success will never be in textbooks, they are passed down to those who are worthy, to those who are teachable. Not everyone will develop the shoshin mindset. For those that attain it, the world will be a wealth of knowledge with more guides than enemies. Sometimes praise and a pat on the head are necessary for motivation, but ultimately fleeting; information is power because it lasts. I'm always fascinated when I meet a white belt, who is already a black belt instructor in another discipline. Many will refuse to put on the "white belt" in any situation, whether it's the training hall, a new job, asking for advice, or picking someone's brain. Never be the smartest person in the room, hang out with those above your level. Also recognize how little you know. In doing this, you will increase your worth. Recognize the white belt for what it is, a sign of hope. The only tools a white belt has is time and imagination, which is the secret to their great learning strides. Lose this mindset, stagnate and decay. The most fun we have are those formative years of learning. Everything was new, the excitement was in newness, that is the nature of experience. There is a joy in cultivating new skills, being able to do something one could not prior. There is the camaraderie of going through the learning curve together, a bond beyond mere companionship. There is a kinship in going through the grind, the boring parts, and all the magic moments of the beginning. Not just the people who you are experiencing this with, but all of those who have gone before you. Why not continue in this way? Seems a rather dull, unpleasant, and depressing existence if all we deal with is the middle and the end. If not, there is a dark place waiting for you. Where you ask the world to listen, but you will never feel significant enough. You saved your ego, but you killed the master. There are no other beginners, no causes, and no masters. In this place, you are alone. The beginner's mind is open, eager, and lacks preconceptions — no matter the level of study. It is at its heart the mind of a child. A child does not have the luxury of a textured past to get in the way of their learning. They are children: they play, learn, move, and think. They want to hear. The adult wants to speak — leading to the same ends over and over again. Purveying thoughts about fitness, lifestyle, diet, skepticism, science, martial arts, business, mindset, habits, and beliefs to improve optimal well-being. For more info, join the newsletter. You can also connect to All Out Effort on Facebook and Twitter.